The North American branch of the All People’s Congress (APC), the governing party led by President Ernest Bai Koroma has been in chaos for a couple of months. 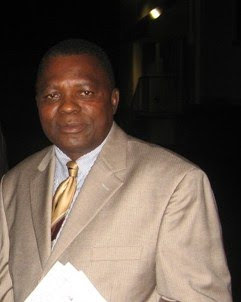 This seemingly ongoing power struggle between supporters of Chairman Osman Conteh and his elected executive and supporters of the interim executive handpicked by Sierra Leone’s ambassador to the USA, Bockarie Stevens seems to have frustrated many in the party. It is the opinion of many observers that party elders must make a conscious effort to resolve the current impasse here in the USA. Regardless of what the issues are and the different messages been propagated by supporters on both sides, a vast majority of the populace both at home and abroad believe that the issue in question threatens the peace and stability that the North American branch has enjoyed. There are those who also believe that considerable damage has already been done in terms of fundraising which was very successful this time last year. In an effort to understand what the issues are and why it has taken such an awful long time for the problems at hand to be resolved, Chairman Osman Conteh sat down for an interview. Even before we began our interview, he quickly pointed out to me that he saw SLPP North America Chairman, Augustine “Boss” Fallay’s interview on the PV website. “I think Fallay does not know what he is talking about. I am ready to respond to his allegations one by one and he should know that despite our issues, we remain to be a very formidable party. I think he should focus on the problems they have in the SLPP” he maintained. AK: The past few months have been very challenging for you. From your suspension to your re-instatement and the dissolution of your entire executive, the APC-NA is in disarray. What is really going on? Conteh: First of all, let me thank you for granting me this interview. You see, Mr. Kamara to be a leader is not easy. First, it is important to note that when one is afforded the opportunity to serve, that he/she does so with humility and serve with all sincerity and firmness of purpose. As a leader, it is also important to have the people you serve on your side. Our branch has issues but we will deal with them accordingly. It is unfortunate that some in the party have decided to put their personal interest over that of the party. In fact, some are waging what I will call a war or personal vendetta against me. In the interest of the party, I have kept quiet and have showed considerable patience. Despite our troubles, one thing is clear: we will come out stronger than ever and continue to build the formidable team that we have and work on making sure President Koroma’s agenda becomes a success. Make no mistake, it has been tough but the truth is I have tried my best to work in the interest of the party and of our beloved country. AK: What is the cause of your problems as Chairman of APC- North America? Conteh: You would recall Mr. Kamara that during President Koroma’s visit last year to the USA when he attended his first United Nations General Assembly, we held a fundraiser with the proceeds to be used for the rehabilitation of the Kissy Mental Home. I think you actually covered that event. After the fundraising event where we raised more than $10,000, we as an executive voted unanimously and agreed to spend this money on refurbishing the Kissy Mental home in Freetown. It was clearly stated on the flyers and ads that we distributed. When the proceeds came in, we decided to do exactly what we had envisaged. That was to use the proceeds for Kissy Mental Home. It is important to note that at the time we met and took the decision, Ambassador Stevens was in Freetown. Prior to his return to the US, the president of the Texas Chapter, Ms. Nanette Thomas, who was opposed to the idea of sending the money to Freetown and had suggested that we send only $5000, had called and informed Ambassador Stevens that we voted to send $10,000 to Freetown. She also informed Mr. Stevens that Mr. Victor Bockarie Foh, our national secretary general, demanded ten million Leones from the North America branch. However, she did not stop there; she also claimed that because of her opposition, I had verbally insulted her. This of course was a big lie. AK: Why do you think Nanette Thomas called Ambassador Stevens to convey what took place in your meeting? Conteh: That is a question for her to answer. I definitely don’t know. AK: Did Ambassador Stevens know what the purpose was for the Fundraising dance held in Maryland? Conteh: Yes! He was present at the dance. Don’t you recall seeing him there? He saw the flyers and was fully aware of everything. AK: What was your response to Nanette Thomas after her opposition to sending the entire $10,000 to Freetown? Conteh: My answer to Nanette was that the money was raised to help refurbish the Kissy Mental Home. If we raised this amount and the decision had been agreed upon by majority of the members, there was no reason for us to change our original aim. I believed the right thing to do then was to send the money to Freetown. I still stand by that decision today. This was how she began the process of conveying information to Ambassador Stevens in Freetown. AK: So what happened after Ambassador Stevens’ return to the USA? Conteh: Upon his return and having learnt that the North American executive had voted unanimously to send the $10,000 to Freetown, Ambassador Bockarie summoned me to a meeting at the embassy. As ambassador and a senior member of the party and because I had so much respect for him, I answered his called. At the embassy, Ambassador Stevens demanded an explanation about the money we sent to Freetown. Knowing that it was a unanimous decision taken by all members of the North American executive team and the fundraiser was held for this purpose, I informed him how the decision to spend the money came about and our desire to support a struggling government meet some of its challenges. To my deepest surprise, Ambassador Stevens became very angry because as he stated we made a decision in his absence. He also intimated that the money might not be used in Freetown for the purpose it was intended. My response to his outburst was that as a party, we had an obligation to fulfill our promise so friends and supporters who attended the event know that money raised was used as they were told i.e. the refurbishment of the Kissy Hospital. It was at this juncture that he warned me to be very careful with him because what I was doing as chairman was not the right thing to do and not in the interest of the party. I should have consulted with him and must always consult with him or else I could lose my position as chairman of the North America branch. AK: What was your response to Ambassador Stevens at the embassy when he intimated that you could possibly lose your position as chairman? Conteh: I was shocked! I thought I misunderstood him. I couldn’t believe what I had just heard. I thought to myself this guy was sent to the USA to represent Sierra Leone but here he was meddling in the internal politics of a branch and threatening me about the possibility of loosing my job. I held my cool and told him that the decision we took was made by all members. We held a vote and members voted their consciences. He then told me that he had warned me. Out of respect, I did not continue to argue him. Instead, I told him that I have listened to his concerns. AK: What happened after your meeting at the embassy? Conteh: Later that week, as chairman, I called an executive meeting and disclosed to the entire team what transpired during my meeting with Ambassador Bockarie including of course, his threat to remove me from my position as Chairman. AK: What was the response from other members of the executive? Conteh: What happened was that those in the team who have always been on his side went on to inform him that I used disrespectful language towards him and Victor Foh. As always, some of these members included Nanette Thomas and Col. (Rtd) Idriss Kamara. Even though these were lies, he never called me to ask as he did when he came from Freetown. Instead, he suspended me. This was the starting point of our problems. AK: Why don’t you tell our readers what actually led to your suspension? Conteh: First of, I have to say that I never considered myself being suspended. I say so because I considered it illegal because he does not have the mandate to suspend anyone within the party. It is important to note here that he is not even a registered member of the APC-NA but all he seeks is to become a dominant force within the APC-NA. His actions are illegal because we have nothing to the effect that gives him the power to do such a thing. It is neither in our constitution nor in our North American bylaws. That is why he is getting all the opposition that he is getting from many members of the party. He has succeeded in emboldening all of us. AK: You might call your suspension illegal but the truth is for some time, you were not able to perform any of your duties as chairman? In fact, your vice chairman, Leslie Allen was acting in your capacity. This was true even when VP Sumana visited the USA. What is your response? Conteh: I consider that period to be one of gridlock. I say so because the person that ambassador wanted to impose on us was not supported by majority of the North American branch. Out of eleven chapters, nine were totally against the whole nonsense. AK: Just to be clear here, we are talking about Leslie Allen, right. Is he Ambassador’s preferred candidate? Conteh: Yes, that is correct. He had no support from members of the party and it was evident in the meetings that he tried to call when folks failed to show up. In contrast, when I call for meetings attendance has never been an issue. AK: Whether your suspension was illegal or not, the truth is Leslie Allen had represented the party on a few occasions when you were prohibited from performing your functions as chairman. In fact, he also represented the party at a function in Ohio and his team was pretty much left to handle the visit of the VP in the Washington DC metro area. Conteh: Well, the truth is that was part of ambassador Stevens plans to frustrate the members of our party here in the USA. The event in question in Ohio was not that of a success because many party members stayed away. AK: How did Victor Foh became a party to this issue? Conteh: After Ambassador Stevens came from Freetown claiming that he was given the mandate to suspend our executive, rumours have it that some in his team paid Victor Foh’s way to the USA so that he could settle our internal problems. In fact, Col. (Rtd) Idriss Kamara name was mentioned as the one who paid his way. Now, this was the man with whom I have enjoyed very close relations. Whenever he comes to the US, I am always notified. In fact, I always know his schedule and pretty much work with him when it comes to issues of the party here in the US. What was strange though was that, during his visit when he was supposedly here to address our issue, he did not even call me to alert me of his arrival. Instead, he (Victor Foh), Ambassador Stevens and a few others held a Kangaroo court without my knowledge and released another communiqué that my suspension will not be revoked. The strange thing though was that Col.(Rtd) Idriss Kamara who was also suspended because of very strong disagreements we had, had his suspension completely revoked. Remember Mr. Kamara this was after an advisory board was set up to look into the issues in our branch and the board found that the issue in question did not rise to the level of suspension. In fact, we were both fined $100. I paid mine and to this day, he has not paid his. It was ironic that Mr. Foh came to the US, met secretly with a few members, nullified Idriss’ suspension because he paid his way to the US and concluded mine should continue. I guess my only thought was that I did not pay his way to the US. So, this was what happened. AK: In essence you are saying that Victor Foh and Ambassador Stevens worked in concert to remove you from your position, right? Conteh: That is exactly what they did and are still doing and both men claim to have received their directives from Freetown even though their so called meeting included Abdul Bero Kamara, Idriss Kamara, Victor Foh, Leslie Allen and Ambassador. How can these guys behave like this call themselves party elders? How could you hold a meeting and not invite me to hear my side? No sensible person will revoke one person’s suspension and leave the other. Does that make sense to you, Mr. Kamara? AK: I am not been interviewed, Mr. Conteh. You are been interviewed. I am sure you can answer the question. AK: Where did the issue of 10 million Leones came from? Leones from us. Upon hearing his response, I asked him to send us a communiqué on this issue as soon as he arrived in Freetown. He promised to do so but never did. Numerous attempts to reach him in Freetown were to no avail. Shortly after the APC convention, Col. (Rtd) Idriss Kamara who had attended the convention came back from Freetown and in one of our executive meetings, scolded me and accused him of planning the incident in which he, Idriss, was booed by attendees. Of course, his accusations led to chaos and he using obscene language. AK: What did VP Sumana do to try to solve this ongoing issue? Conteh: First off, VP Sumana showed leadership skills which we all admired. It was clear he understood that what had happened was not right and not in the interest of the party. He talked with me personally before he called the entire membership for a meeting and asked me to take it easy and he will do all he could to resolve this impasse. He is truly a man that I have immense respect for. As a result, I conveyed to him that any decision that he came up with that was in the interest of the party, I will abide by it. In our meeting, it was agreed that my suspension continue for another 10 days but Ambassador Stevens manipulated it and it lasted for another month before I was finally re-instated. The VP had set up an ad-hoc committee to deal with the issue and get me reinstated but again, I was not called for any meeting. I was marginalized by the same group of people. AK: What led to the dissolution of your entire executive team after your reinstatement a week or so before President Koroma was scheduled to travel to New York? Conteh: Ambassador had traveled to Brazil to meet with President Koroma. Upon his return to Washington, I called to speak with him. Having established the fact that he hates me and has a personal vendetta against me, I wondered what he would have told President Koroma. During my call, I asked him about the president’s itinerary since we all know he was on his way to New York for the UN General Assembly. This way, we could make preparations like we did last year. This was after four previous attempts made by Abdul Bero and I also made a follow up of our request. Since we got no response and after Abdul Bero’s suspension, the acting secretary general also contacted him. I also called him again and got no response. It was a surprise later to see an email he sent out after a previous meeting stating that President Koroma does not want to see any member of the North America branch and was going to dissolve the entire executive before the president’s arrival in the US, and he did. He claimed to have his directives from authorities in Freetown but did not mention any names. As a branch, we strongly believe it is not right for the Ambassador to try to break us. He is not a registered member of the branch and he is not paying monthly dues. We have been struggling with this branch for the past 12 years and to imagine that he is trying to frustrate our efforts is very repulsive. AK: Why was Abdul Bero suspended recently? Conteh: He was suspended because of insubordination and because he is also to be blamed among others for all the issues that our branch has encountered. Even after so many conversations with him which other members have done, he has no regard for authority. Since he would not listen to anyone from the party but instead relies on Ambassador and for failing to do what his position calls for, it was unanimously agreed that he be suspended. Conteh: It is unfortunate that we are having these issues at the time. The whole problems emanated from Ambassador Stevens. Sadly, he is even using the president’s name to try to cause problems claiming always that the president said this or that or that the leadership of the party said so and so. We know this is not true and we are determined to prove him once and for all. It saddens me that he is not working in the president’s interest but his personal interest. AK: Have you tried to reach President Koroma? Conteh: Well, we will be in New York to meet with him and share our concerns with him. We will present our case to him and will report back to our members. AK: Let me make sure I understand you. You have not made any efforts in the past to reach President Koroma. This will be your first attempt to discussing the issue with him, right? Conteh: Yes, you are right. This is our first attempt. We have never tried to reach him. We have never filed any formal complaint against Ambassador Stevens. We did so because we thought the ambassador will change and put the interest of the party first. AK: What message do you have for friends and supporters of the party who are watching and hoping that this nonsense comes to an end so that you guys can get to work for the party rather than your individual egos? Conteh: We are going through a period of challenges but all will come to pass. However, we have to fight for the truth. Life is full of challenges and politics is the same. We will come out strong and we will get back to work in the interest of the party and our country. We can no longer stand this nonsense and it is about time we deal with it head on. All we are asking is that Ambassador gets to work with the work that he is charged with and that is representing Sierra Leoneans in the USA. We know he is a senior party member but he has a job to do and he should concentrate on doing just that and let us do ours. Our branch has been in existence for a very long time and we’ve never had to deal with such issues. However, since he came all we have had are issues upon issues and that is not good. AK: What message do you have for the opposition as you go through these tough moments? They must be happy to see you guys fighting amongst yourselves as they plan a comeback strategy. Conteh: Trust me Mr. Kamara; they have more issues to deal with. They know that they cannot underestimate our resolve. These things are common in any political party but if they think our issue has made us weaker, they are mistaken. We are a formidable branch and we are ready for them at anytime. AK: Why is it important for you to do this interview after all these months? Conteh: There is a time for everything. For far too long, I have suppressed myself in the interest of the party but now I can no longer be silent. This needs to stop and these guys need to know that. All Ambassador Stevens does is to humiliate and disrespect me. This time, I will defend myself. AK: Thanks for your time with Mr. Conteh. Just so you know I will be reaching Ambassador Stevens and others mentioned here to get their side. Conteh: No problem, Mr. Kamara. Editor’s note: When contacted for an interview, Leslie Allen kindly declined stressing that he surfaced in this issue only because he is vice chairman of the APC-NA. “My party is bigger than me and I seek the interest of the party,” he continued.